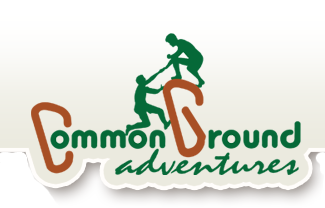 Mark established Common Ground Adventures in 1998. He is certified as a Wilderness First Responder and has taken numerous workshops in ropes course management and safety. While Mark takes his clients’ goals and their safety as his highest priority, he also tries not to take himself too seriously. After all, both his avocation and occupation center on playing in the outdoors. Mark has worked in the outdoor industry as an adventure educator, wilderness guide, kayak instructor, team building facilitator and camp director since 1993. Mark’s broader experience as a teacher, athlete, high school coach, musician, and business owner along with his military service allows him to connect with a broad range of people. Mark received his B.A. in education from the University of South Florida in 1996. An active member of the Association for Challenge Course Technology, Mark is an ACCT Certified Inspector. We have had the good fortune of working with Lynn since 2009. He previously worked with Pathfinder Outdoor Education for 10 years. He also founded the Pioneer Camp at Boyd Hill Nature Camp. Lynn’s strength is to take the simplest team building initiative and with incredible insight help the participants mine many nuggets from their experience. 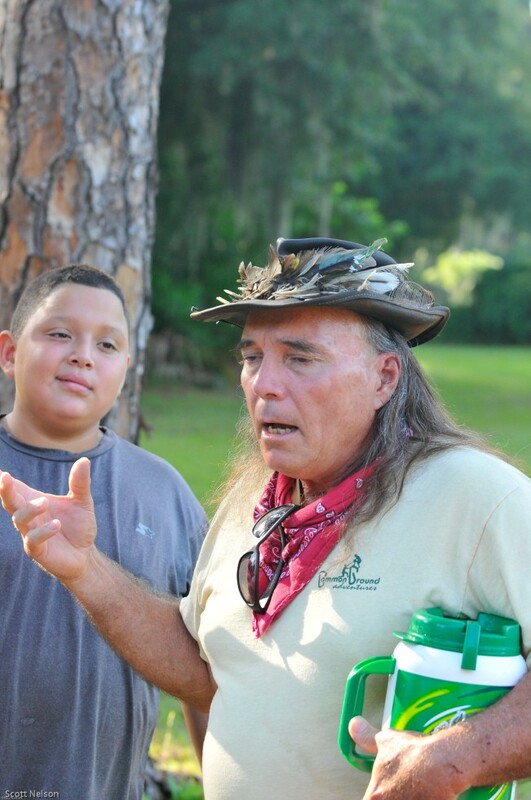 A lifetime Floridian, he also enhances his extensive facilitation skills with his love and knowledge of Florida natural studies. Our Associate Director, Dave, stands out with his attention to detail, ability to inject new and creative ideas, as well as his ability to work with groups of all ages. Dave is also the Program Director of Outdoor Specialty Areas and Director of Staff in Training at Camp Barney Medintz in Northeast Georgia, a technical adviser to the Girl Scouts of Gulfcoast Florida, and a freelance web designer. He is a graduate of New College of Florida majoring in history and computer science. Geof currently serves on the Board of Directors for the Global Organization of Tree Climbers and is one of our Lead Tree Climbing trainers. Geof has a master’s degree in organizational management and leadership from Springfield College and over 20 years of experience working with youth organizations. Joshua hails from the great city of St. Petersburg, Florida. He received his bachelor degree from Eckerd College. Following graduation, he worked for AmeriCorps Vista for two years, which led him to the Aloha State of Hawaii. When Josh wasn’t surfing he was involved in various experiential education employments, from Ropes Courses to after school programs. The travel bug reared its head again and he headed over to Kenya, where he was a project manager for an Agricultural non-profit. He then moved on to found his own social enterprise. He returned to St. Pete and quickly found his dream job at Common Ground Adventures. Josh brings world experience and enthusiasm to each of his groups. 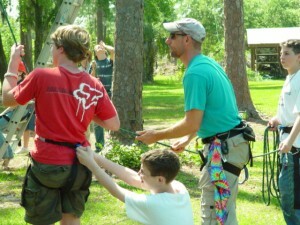 For two consecutive summers, Josh has been the Director of the Waterfront Program at Camp Barney Meditz. As Director, he trains, manages, and supervises 29 staff from 3 different countries in the Waterfront vision and mission as well as all related Waterfront activities. Josh is currently working towards his Masters in Human Services with a concentration in Organizational Management and Leadership at Springfield College. Clay comes to us from the corporate world. A former trainer and tech support professional, he has come full circle and rekindled a passion for Experiential Education first ignited as a student at Western Carolina University where he received a B.A. in marketing. Clay’s sense of ease and calm comes across in his facilitation style. He is also a professional photographer. His work can be seen throughout our web site and at in-motionPhoto. Jim has many life experiences that give him the tools to be a good facilitator. One attribute that stands apart is his ability to engage participants by weaving his musical talents into his facilitation style. Originally From Cooperstown, New York, Jim received has B.A. in music performance. He is also owner of Drum Quest, an experiential coaching and facilitation company focusing on customized rhythmic adventures. Barney brings a level of energy and positive thinking that cannot be duplicated. His nickname, Captain Barney, comes from his status as a licensed captain and leader of sailing tours. He has a tremendous amount of unique life experiences that truly make him one of a kind. Besides being a professional facilitator, Barney and his wife co-lead the band Urban Gypsies of Florida.